Everything is really amazing, specially the apartment owner Gokhan. He is really helpful! Renovated apartment with everything you need. 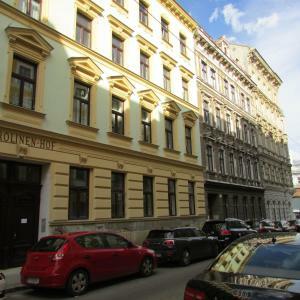 Location is in a walking distance to the city and there is also tram line very close which connects with underground. Owners live close and are very hospitable and helpful. 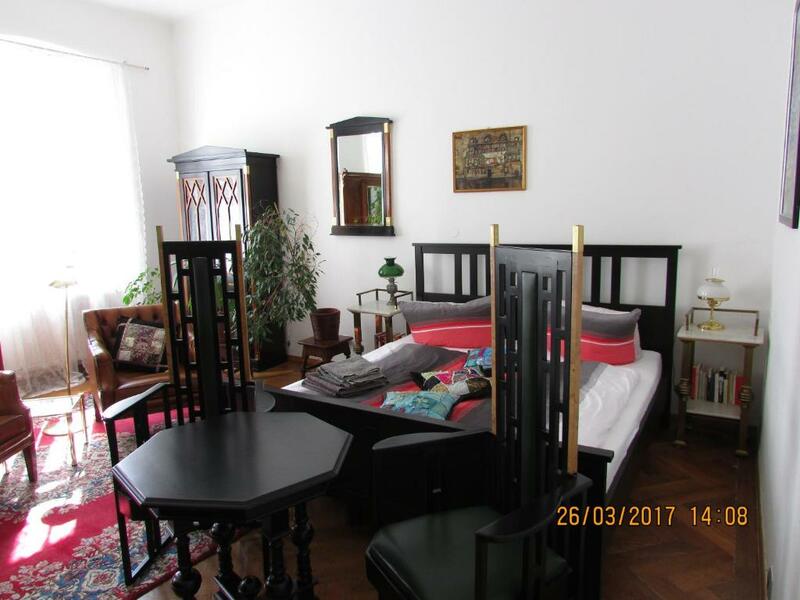 Very nice comfortable, charming, tastefully decorated apartment with excellent beds. Kitchen was stocked with basic essentials. The place made us feel like we were definitely in Old Vienna. Our charming manager arranged for a taxi for us to the riverboat the next day. Luxury apartment with a huge bathtub and walk-in closet, very well located and with the best host! Superb furniture, recently renovated, well stocked (beer in the fridge, cheese, bread, everything you need for cooking, spices, cooking oil, champagne and wine glasses, endless travel guides, stereo for music), the hosts were so nice, they explained everything to us, where to get cheap parking around (16 / day instead of 25-35). The location is great cause nearby you have Hoffer for shopping, a mcdonalds and kebap for fast food, zentimeter for schnitzel and a 24 hour store. The metro is just in front of the building. You can walk to the rathaus as well. My host Ines was very nice, helpful and smiling person. She even left in the fridge some useful products for free. Thank you a lot of, Ines! The place is very artistic and in the "Wien" style. 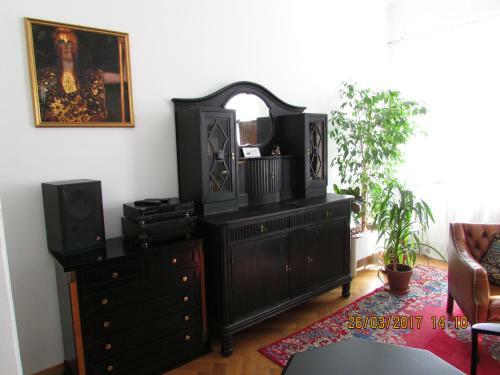 Perfectly located next to the u-bahn, beautifully outfitted, entirely convenient. The host was very nice and helpful. Good location, near the metro station and the tram-stop. There is a supermarkt at the next street. Internet connection was sufficient. Excellent location, friendly host, warm, clean, comfortable bed, things in the fridge, coffee and tea. 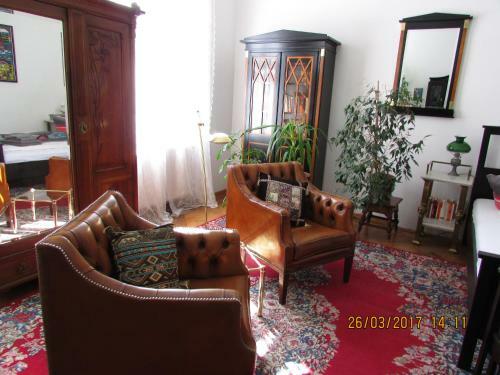 Lock in a great price for Art Nouveau Apartment – rated 9.2 by recent guests! One of our best sellers in Vienna! Equipped with antique furnishings, Art Nouveau Apartment is located in Vienna nearby several bars and restaurants. The Alser Straße Underground Stop (line U6) and 2 tram stops (lines 43 and 44) are within 600 feet and provide connection to the city center. Free WiFi access is available. The studio apartment consists of a kitchenette, a combined living and sleeping room and a bathrooms with shower and toilet. Towels and linen are provided. 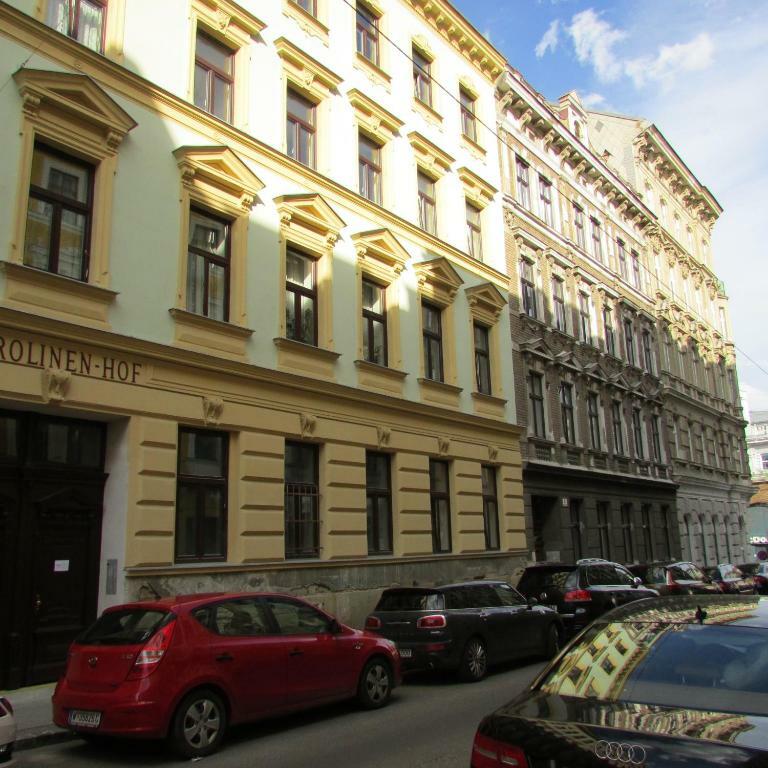 The popular Yppenplatz Square is 1,650 feet from the Art Nouveau Apartment, and the Josefstädterstraße Underground Stop (line U6) is 1,800 feet away. The Wiener Stadthalle where many concerts and events take place can be reached by public transport within a 10-minute ride. When would you like to stay at Art Nouveau Apartment? Locaed on the 2nd floor of a residential house built in 1881, this studio apartment features an equipped kitchenette and a bathroom with a shower. Food for breakfast is provided in the fridge. The apartment is above all very comfortable, as my own flat ;) But furthermore we have decorated it as it could have been 100 years ago, except the bed and the kitchen. I love music - jazz, tango, doom; red wine, old furniture, plants, going to bars, concerts, but especially to old viennese cafes. Most of all, I like that one can go out and after some minutes of walk one finds good bars, restaurants and old viennese cafes. And if one wants to go to the centre, one still can do it - it's just 20-25 minutes of walk, by tram of course shorter. Area Info – This neighborhood is a great choice for travelers interested in monuments, convenient public transportation and architecture – Check location Great location - show map Guests loved walking around the neighborhood! House Rules Art Nouveau Apartment takes special requests – add in the next step! Art Nouveau Apartment accepts these cards and reserves the right to temporarily hold an amount prior to arrival. Please inform Art Nouveau Apartment of your expected arrival time in advance. You can use the Special Requests box when booking, or contact the property directly using the contact details in your confirmation. Small bathroom but it was very clean. The bathroom is tiny - ah well! The neighbours were sometimes loud. The staircase is rather wasted, so it doesn't make o good impression. Very small bathroom. There is no TV, oven and microwave. The bath is extremely small. 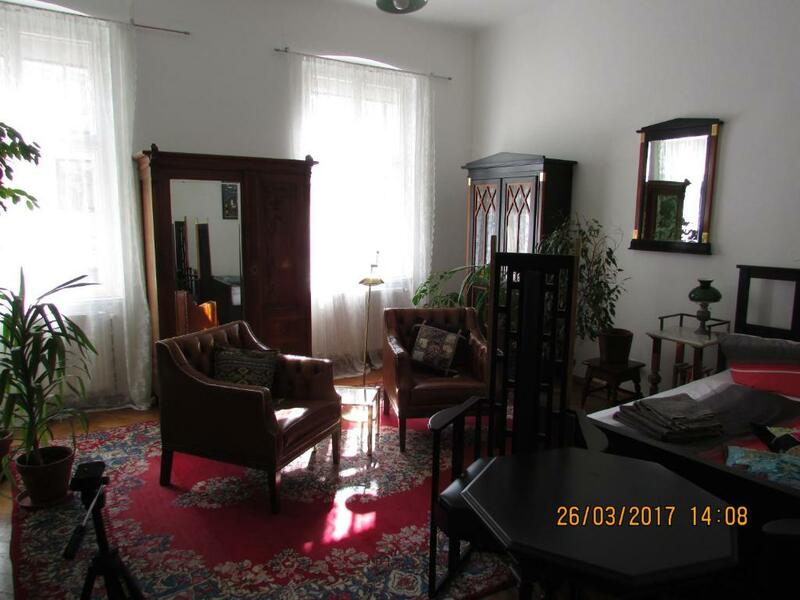 Extremely comfortable and cosy apartment, beautifully decorated, well provisioned and in a quiet location. Host was extremely welcoming and helpful, would love to stay here again! 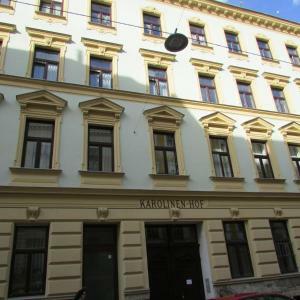 Very tidy and good location near U-Bahn. Very nice host and a warm welcome in Vienna. Excellent, friendly and flexible hosts. Neat and clean, cosily furnished. One does appreciate little details like a freshbeer in the fridge, and a good stereo with good music. Cheers. I was told this apartment was built around late 1800s. Everything was antique and elegant. We just loved it. The room was very cozy and beautiful. We felt like we were residents of this apartment while we're staying and that made us feel good all the time. The supermarket is 5 minutes away by foot and the apartment and the neighbors are very calm and clean. The transportation was not bad. The tram station is near the apartment. Above all, the host 'Ines' was the best host I've ever met. She was so lovely and kind. She's been very available to keep in touch and always helpful and sweet. If I come Vienna again, I will definitely stay Ines's apartment. It was amazing experience. The entrance of the whole building is not that welcoming, and I wish if the bedroom lighting was white not yellowish. Everything was very good. Much appreciated our hosts help. The nicest hosts and a beautiful place. My girlfriend and I would stay here again. There is a grocery store and laundry mat 2 blocks away. We really liked the furniture and feel of the apartment, very unique. Ines is a very nice and accomodating host. She left us food in the fridge and was very easy to communicate with in case we needed anything during our stay. 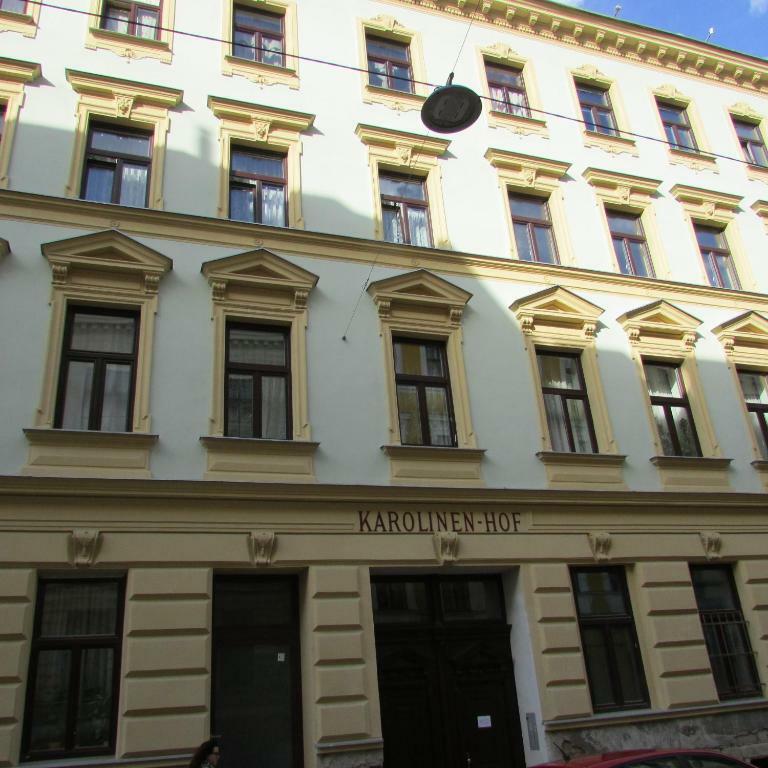 The flat is lovely, with an old Viennese vibe, comfortable bed and lots of warm light during the day. The city centre can be reached in 20 min by foot. Lots of public transport available nearby. No TV. Bathroom small and sparse. 2 floors up and no lift. Difficult for older people.